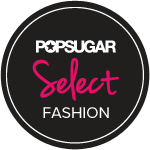 La Petite Fashionista: Are you ready for Fashion's Night Out?! It's the most wonderful time of the year.. with New York Fashion Week a mere TWO days away (!!) I'm as excited as ever to get inspired by designers' Spring 11 collections. 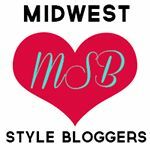 I wish I could be there for the week's shows and events, for now style.com will have to suffice. 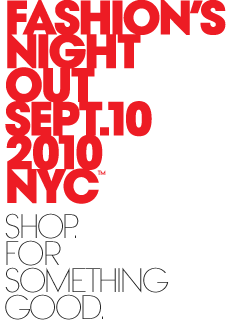 I love that they're doing Fashion's Night Out again this year in NYC and more cities throughout the globe. It's such a fantastic event, and I really wish there was one nearby! What an amazing opportunity to shop, jam, eat, and mingle with the who's who of fashion. Their official website allows you to map out your itinerary for the evening as well as view the events going out in countries around the world and other U.S. cities. You can also follow them on twitter for live updates (use the #FNO hash tag in your posts). Will you be participating in Fashion's Night Out in any city or making it to a Fashion Week presentation? I am seriously so excited for London's FNO. It's tomorrow!! Oh, I wish I could go to FNO and NYFW! Instead, I'll be participating in a bunch of Boston Fashion Week events. Not quite as glamorous, but just as fun! 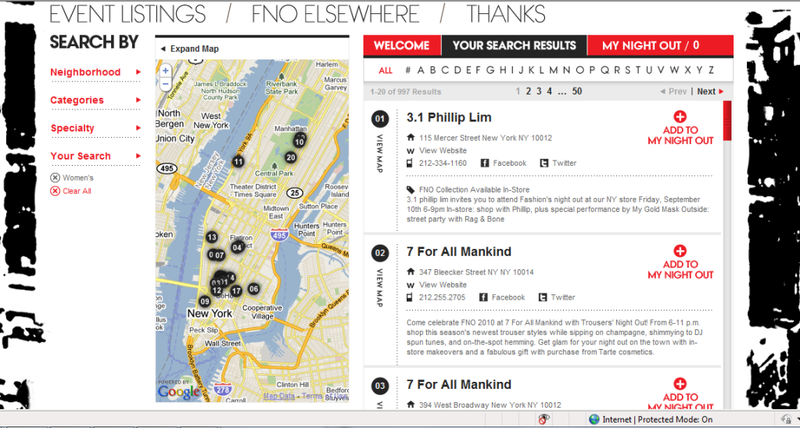 dyinggggg to go to FNO & obviously NYFW; one day!